What Is Russia Day and When Is it? Regardless of the problems and concerns that Russian citizens may or may not have regarding Russian life, all are almost unanimously quite proud to be Russian. As such, Russia’s Independence Day, or “Russia Day” as it’s formally called, is an important holiday to the Russian people in Russia and abroad. 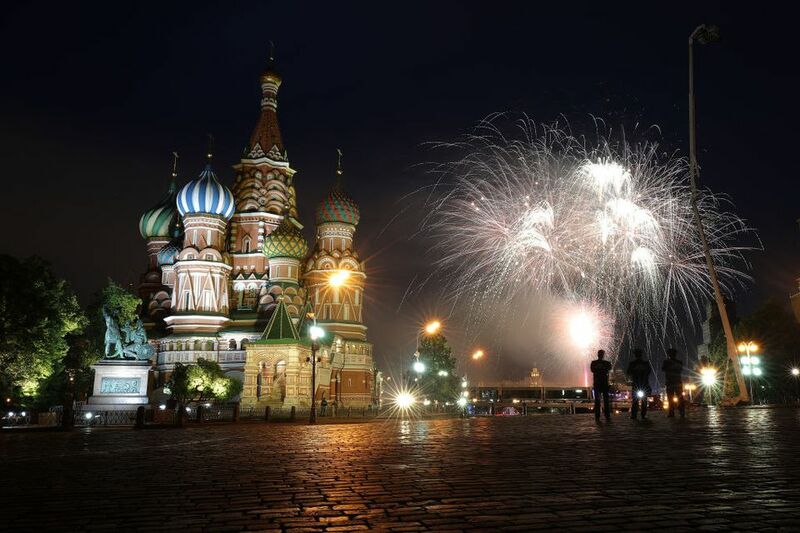 If you are traveling in Russia in June, don’t miss the huge celebrations that will take place in every city on June 12. Russia Day is one of Russia’s youngest holidays, having only been around since 1992. The day celebrates the establishment of Russia as an independent country after the dissolution of the Soviet Union in 1991, officially recognizing the day that the Declaration of the Sovereignty of the Russian Federation was signed. It also commemorates the creation of the post of the President of the Russian Federation (first taken by Boris Yeltsin), the national flag and the national anthem. Now it is used as an opportunity to celebrate the accomplishments of Russians worldwide as well as a general celebration of the Russian culture and identity. It is usually not a very political holiday, in the sense that politics are not usually mentioned or discussed. 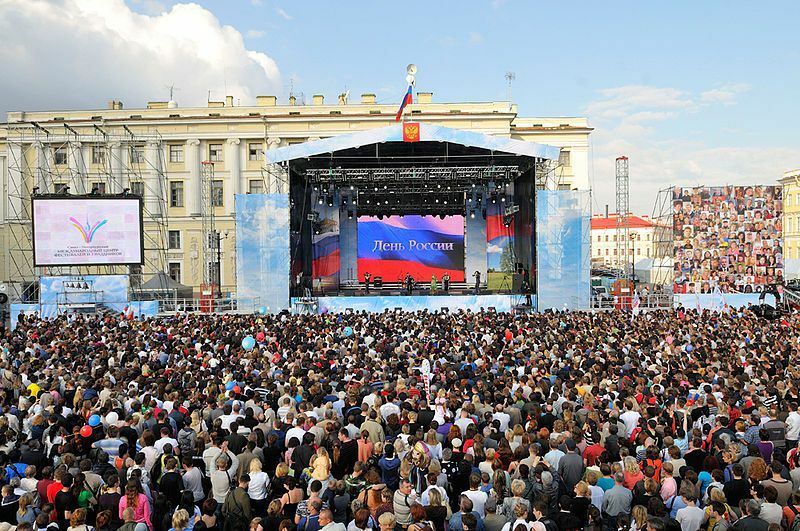 Most major cities in Russia organize large public celebrations for Russia day. This includes concerts by famous musicians, kids’ activities, and fireworks at night. Since June usually means quite nice weather in Russia, people pile onto the streets to wander around and spend the afternoon in a park and the evening in a pub. There are usually not many independent parties inside Russia, unlike in the U.S. Russian communities in other countries tend to also organize one big celebration with concerts, activities for kids, performances, music, and dancing. The holiday is now also used as an opportunity to give state awards to prominent Russians who have made significant accomplishments in the past year – in the sciences, humanities, arts, and humanitarian activities. These official award presentations are broadly televised and attended by some of Russia’s most prominent political figures. There is a President’s Address, also televised, in the evening. Russia Day is an official public holiday, which means that everyone gets the day off – and if the day falls on a weekend, then the holiday extends to Monday. All offices and many shops and businesses are closed on this day, and public transport runs on a restricted schedule. The best place to celebrate Russia Day is undoubtedly Moscow, where a huge celebration is always held right on Red Square. If you don’t like crowds, though, you should stay away, because the Moscow city center will be packed the whole day – especially the parks and cafes, and anywhere near Red Square. St. Petersburg is usually just as busy, although since fewer official celebrations take place there, it’s usually mildly less crowded and stressful. Quieter celebrations take place in smaller cities in Russia like Kazan and Nizhny Novgorod. Here you will still usually find concerts, parades and/or fireworks, but fewer crowds and TV crews. If the weather is good, the atmosphere in the smaller cities is very pleasant – everyone is in a good mood and happy to celebrate being Russian in Russia. You may hear these words and phrases being thrown around in Russia on June 12, although it’s not common to say these things to strangers walking down the street (unlike during Easter). Happy Russia Day: С днем России! Happy Independence Day: С днем независимости!